Activities : Warm, sunny days, cool nights, mountains and beaches and friendly people are good enough reasons to visit San Luis Obispo County. But don't forget our flora and fauna! For starters, find the latest in whale watching, orchid shows, elephant seal watching, birding, dunes walks, and other activities, by consulting the comprehensive, regularly updated of nature events in San Luis Obispo County. Airport : WiFi: San Luis Obispo Airport offers complimentary WiFi throughout the terminal. ATM: For your convenience, ATMs are available in the terminal baggage claim area. Charging Stations: Charging stations are conveniently located post-security in the terminal. Lost and Found: If you have lost an item on airport property, please check with the Airport Administration Office to see if it was recovered at (805) 781-5205. For items lost on the airplane, contact your airline. 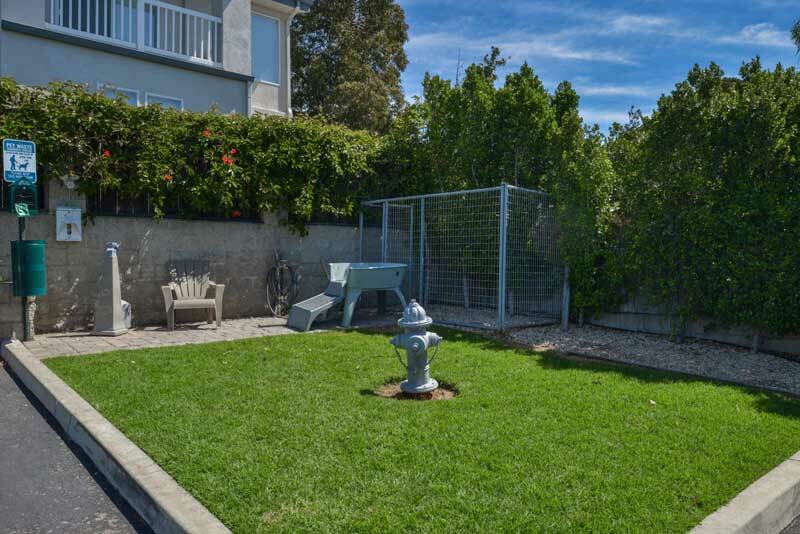 Attractions : Whether you come to Cayucos from the north or the south, what you see from Highway 1 is a small town nestled in the pristine setting of Estero Bay. Here you will find plenty to do whether you come for a day, a week, or even a month. Attractions : Be a part of Hearst Castle's® most popular tour! The Experience Tour is highly recommended to first time visitors looking for an introductory overview of the Castle with the giant-screen, 40 minute companion film, Hearst Castle: Building the Dream, presented by National Geographic Theater. This tour takes you through the Esplanade and Gardens, Casa del Sol, and Casa Grande. For more information click here. Dining : Lunada Garden Bistro & Luna Coffee Bar 78 N Ocean Avenue, Cayucos, CA 93430 805 900 5444 Lunadagardenbistro.com Lunagardenbistro@gmail.com European-American Bistro & Event Venue, as well as deli and coffee bar with house made pastries. Ocean Front Pizza www.OceanFrontPizza.com 156-1/2 Ocean Front, Cayucos, CA 93430 805-995-2979 Family owned and operated pizza parlor. Government : The City of Morro Bay requires all organizations operating within the City limits to have a current business license. This applies to businesses operating as a general or sub-contractor (with offices located both inside and outside of the City), as a home occupation, from a commercial or office space, or as businesses conducting temporary activities within the City limits. Hospitals : French Hospital Medical Center has a long and rich history. We have served San Luis Obispo County for nearly 70 years, and will continue to be your award-winning medical center, well into the future. Shopping : There's great history in our future. And great future for our history. Harmony is making a comeback. Soon we'll invite you to come back with us. Back to the time when Harmony was a thriving Central Coast hub of hard work, welcoming people and natural charm. And forward to the new Harmony, full of personality, delicious flavors, unique art and its own special only-in-Harmony culture. Wineries : I Conveniently located between Los Angeles and San Francisco, San Luis Obispo—known by the locals as SLO—is right in the center of some of the finest wine country around. Welcome to our great hotel in Cayucos California with affordable rates and cheap budget discount lodging. 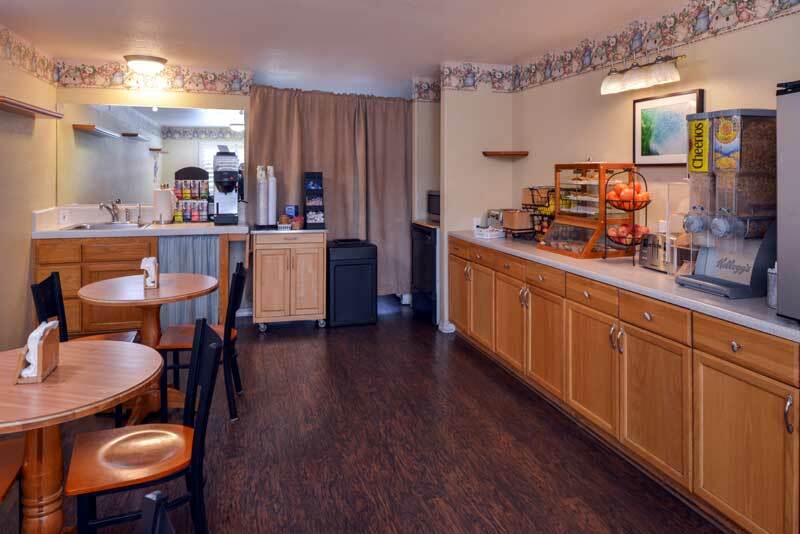 Cayucos Beach Inn welcomes you to our budget hotel in Cayucos California. 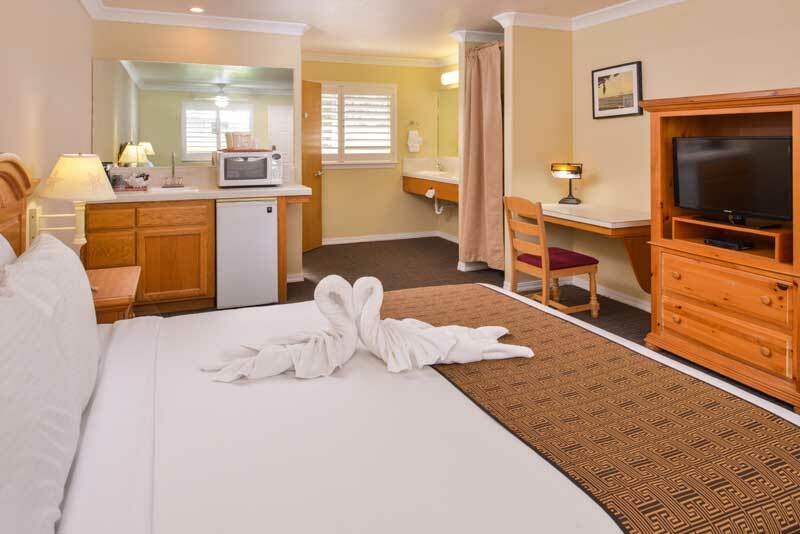 Cayucos Beach Inn will provide you excellent customer service with great amenities in comparison to all Hotels and Motels in Cayucos California. Please visit us on your next stay in Cayucos California and let us provide you with 4 star hospitality for 2 to 3 star budget rates. 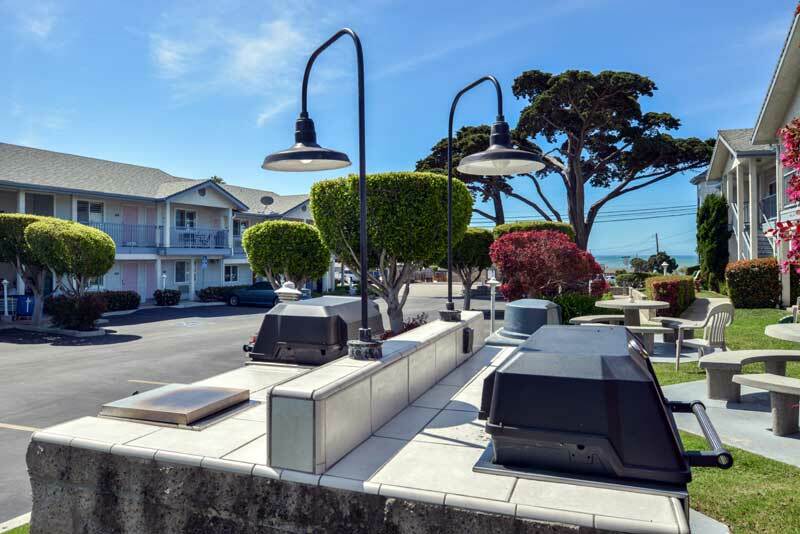 Cayucos Beach Inn has been providing lodging and accommodations in Cayucos California for several years and looks forward to providing our valued customer and business traveler with the best service in Cayucos California for Hotels and Motels in our local area.